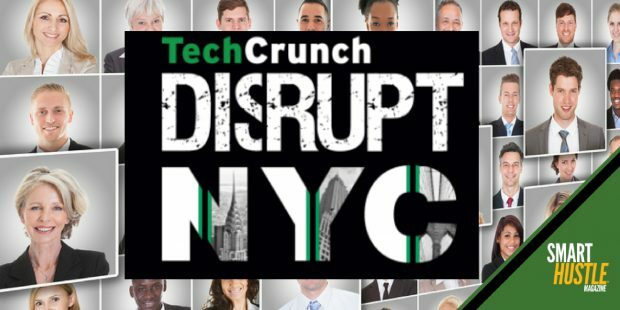 From May 15-17, startups, entrepreneurs, hackers, investors, and tech fans convened in New York City for one of the hottest technology conferences of the year: TechCrunch Disrupt NY 2017. Couldn’t make it? That’s okay because today I am bringing you special coverage that includes 8 video interviews with some of the incredible startups I met at the event. Startup Battlefield: The world’s top early stage startups compete for a $50K prize and attention from media and investors. There have been many notable past winners of the Disrupt Cup, including Dropbox, Mint, Yammer, and Zenefits. Thought Leadership: Conference sessions featured presentations from executives at some of the biggest and brightest companies, including TechCrunch itself, Ford, Yahoo, Instagram, NY Times, and more. Startup Alley: An expo where hundreds of startups showcase their technology to attendees and investors. Showcase Stage: Watch live demos of tech innovations in areas such as AI, machine learning, e-commerce, retail, and more. Hackathon: Development teams compete to create a product in just 24 hours. During the event, I spoke to many startup founders and team members who had advice for small business owners. Check it out in the videos below. Jordan Crook is an editor at TechCrunch, the host of the Disrupt conferences. In addition to explaining what Disrupt is all about, she talks about why small business owners should focus on being genuine and forming real connections, and she shares with us her two favorite startups from this year’s event. Margarite Halaris is the CEO and co-founder of BunkUp, a mobile app that helps users find roommates quickly and easily: just enter your roommate and apartment preferences and then you will instantly get personalized matches that meet your selected criteria. In the interview, Margarite discusses the importance of getting guidance and advice before you begin to look for investors, and she tells us about Elevacao, a 3-day conference that helps new women founders get pitch ready. Theodora Messalas is a team member at JustWorks, a company that partners with small businesses to help handle the nitty gritty details of the back office, such as HR, payroll, and health benefits. She shares with us the benefits of taking care of your employees and establishing your company values early on. Sascha Mayer is the co-founder and CEO of Mamava, a company that makes lactation suites that give mothers a comfortable and clean place to breastfeed or use breast pumps in businesses or public areas such as airports, stadiums, convention centers, hospitals, and schools. She discusses the challenges her company has faced along the way, and how she has addressed those challenges to grow the business. Marisa Warren is the CEO and founder of Elevacao, a global foundation that empowers women tech entrepreneurs to start and grow businesses. She discusses how their pitch program works and shares advice for female entrepreneurs who lack confidence or who are not thinking big enough. Alex Liu is the CEO and co-founder of SurveyCake, an enterprise SaaS product that helps people to easily create professional and actionable surveys where customer feedback triggers customized follow up in your CRM system. He discusses how taking action on feedback (good or bad) can help you generate more happy customers. Jen Chen is a team member of Taiwan Startup Stadium, a company that coaches Taiwan startups by offering intensive programs and connecting them with accelerators, conferences, business partners, and tech companies. Their company brought 12 startups to TechCrunch Disrupt NY to present them to the US market, and she introduces us to a few of them. Carla Perez is the global special events manager for Techstars, a network of mentor-driven accelerators all around the world. She shares advice on the benefits of accelerators, how to know if you are ready for one, and how to increase your chances of getting accepted. And that concludes my coverage of the TechCrunch Disrupt NY 2017 conference! If you are interested in attending a future event, check out TechCrunch Disrupt San Francisco (happening September 18-20, 2017) or TechCrunch Disrupt Berlin (happening December 4-5, 2017). As for the NY conference, it happens each year in May, so I hope to see you there in 2018.